The League of Women Voters is a nonpartisan organization of women and men whose purpose is to promote the informed and active participation of citizens in government. As an organization, the League does not support or oppose candidates for public office, but acts only on those issues chosen by the membership for study and action. The League believes that political parties are essential to the American system of government and that participation of informed citizens is beneficial to the political parties and to the system. Consequently, the League encourages its members as individuals to be active in the political parties, in finding and supporting candidates for public office and in seeking election to public office. The purpose of this policy is to assure the credibility of the League of Women Voters of Long Beach Area as a nonpartisan organization which does not support or oppose any political party or candidate; only to the extent that the public and its elected officials are convinced of the League’s genuine nonpartisanship will the League be able to render effective voter service activities and gain a wide base of support for its positions on government issues. 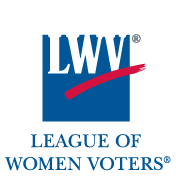 The League of Women Voters of Long Beach Area complies with the nonpartisan policy of the League of Women Voters of California. 1. Elective Office. Board members shall not run for or hold elective office; elective office shall mean an election run by the City or County Board of Elections. The President and the Voter Service, Action and Public Relations Chairs must resign if a spouse runs for office. 2. Political Party Office. Board members shall not serve in any position in a political party. 3. Political Club. Board members shall not serve in a visible position in a political club, as interpreted by consultation with the board. 4. Campaign Contributions. Board members may attend campaign fundraising events and make campaign contributions. 5. Political Campaigns. Board members may not chair or administer fundraising or political campaigns, chair a campaign event, or work in a visible way in the campaign of a candidate for office or for a party. 6. Additional Clarification. Board members shall present questions about the specific situations to the board where the foregoing policies do not resolve the question. 7. Securing Appointments. The board may encourage and assist LWV members to secure appointment to government boards, commissions and committees. However, the board should be aware of and protect against the charge that the LWV is being used by a political faction. Unless clearly designated by the League, appointees are not official representatives of the League. 8. Serving on Boards. Board members may serve on advisory boards except in cases where a dual identity may cause problems or confusion. If a serious conflict arises between the two entities, it should be brought to the attention of the League board, and the board member must make a choice between the two. 9. Lobbying. Board members shall not lobby for a position in opposition to or in conflict with a LWV position. 10. Employment. If a conflict of interest problem arises from employment, it should be brought to the attention of the board. 11. Stipends. Board members may not accept stipends or grants for League projects while sitting on the policy-making board that is responsible for administering the grant. 12. Honoraria. Board members may accept honoraria. 13. Personal Letters. Board members, with the exception of the President, may write personal letters on issues, not mentioning their League affiliation. 14. League Representatives. Board members, with the exception of the President, may not act in the name of the League without Board approval. The President may call on any member to speak for the League with the Board or Executive Committee approval. All representatives to committees, commissions and boards, all coalition liaisons, and all observers shall be provided with the appropriate guidelines.